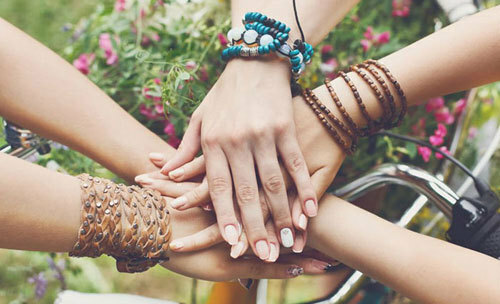 Are You Astrologically Compatible with Your Friends? It is an unwritten rule that some people get along better than others, just like certain signs in the zodiac are destine to clash. It doesn’t mean that we can’t be friends with these people, just that we have to be careful of how we interact and communicate. Some exchanges can be toxic when the wrong energies mix. Keep in mind that your sun sign (the sign indicated by your birthday) does not fully express your Astrological compatibility with someone. The planet Venus plays a big part in your unique birth chart, and its placement can have a huge effect on your interpersonal relationships. Venus rules love and relationships and defines how we engage with others. If you had your Venus in your best friend’s sign, there is a natural inclination that you will get along. If you are interested in knowing what sign is in your Venus, you can check here. When You've Made a Truly Compatible Friend You Will Just Know It. It is also a rule of thumb that signs of the same element tend to get along. This makes sense as they reflect similar energies. Water signs like water signs, fire signs like fire signs, air signs like air sign and earth signs like earth signs. The only distinction are those of the same sign as you, this works like an opposite sign, which you will repel and attract with, like Scorpio and Taurus. There is a chance you won’t like someone of your own sign, but there is also a great chance that you will. In Astrology this is known as a "variable", it can go either way with these signs. Everyone Can Be Friends,But Some People Get Along Better Than Others. Aries is a very friendly sign and can get to know a lot of people, but they don’t let everyone into their heart. Leo is Aries' soul mate best friend, as two fire signs they share a similar outlook on life that is adventurous and exciting. Aries will also bond with Gemini as they can have witty talks and share common interests like image, dating and popularity. Problems will arise between Gemini and Aries if they start to compete with each other. Aries will like Libra’s laid back approach and desire to have a good time. Libra will let Aries take control, and Aries likes this. It’s not common, but Aries and Taurus can be friends, however, they might fight for control as both will want to lead. Aries is fascinated by the mind of an Aquarius and enjoys listening to their perspective on life and hearing about their wisdom. Aries isn't destined to hit it off with Virgo, though Capricorn’s good graces and drive will impress the Aries. Aries is charmed by Pisces' nature and good heart. They enjoy Cancer comedic and creative side and will work well with a Scorpio as long as they don’t get too bossy. Taurus makes for a very loyal and true, life-long friend. 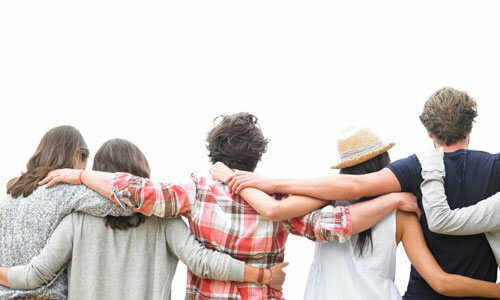 Many Taurus people grow up to have friendships that have lasted for decades. Earth signs like Virgo and Capricorn will appeal to Taurus. Taurus and Virgo will laugh a lot together, enjoy similar television and Netflix shows and share many inside jokes. Taurus and Capricorn will make for good teammates who want similar things. Both signs are after the best in life. Gemini and Taurus can also share a special connection and work well together. These signs tend to have interests in common. Taurus tends to bond well with other Taurus people, but they will have trouble, or could have trouble with their opposite sign, Scorpio. It is important that Taurus don't rule out signs after one bad experience. Taurus and Sagittarius can also hit it off, but often it comes down to them wanting different things. Gemini likes to dip their pen in a lot of ink, meaning they tend to make friends all over the map. Gemini has probably lost friends, met new friends and kept friends over the years, but they have to play nice. When they do, Gemini can be the leader of the pack or the sacred member of the crew. On the rare occasion, Gemini won’t get along with other Gems, but usually, Gems love other Gems. Gemini will also connect with air signs Aquarius and Libra. These signs like to play, enjoy life, and partake in a variety of flirtations. 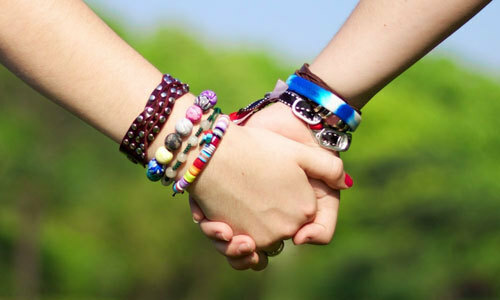 Gemini and Scorpio have common ground and tend to connect well as friends. Opposites Sagittarius and Gemini like Brad and Angelina have chemistry, but also the potential to really clash. Gemini can also run into problems with Pisces, though May born Gems and Gemini/Cancer cusps will connect with Pisces. Capricorn and Taurus are highly compatible with the fish. Gemini and Capricorn can also form a healthy union as long as both remain devoted, these two can share good chemistry and want similar things out of life. Cancer can either be very social or very closed off, which means they might stick to what and who they know. Cancer may not even let you get to know them if they don't feel comfortable. Cancer is very supportive, loving and loyal and makes for an excellent friend. When they connect with you, they will really open up, and you will have great talks. Cancer will excite you and make you laugh. Pisces and Scorpio are good matches for Cancer as they share a talent for empathy, emotion, and passion. Cancer will need a safe haven to rest their head upon. Taurus and Cancer really balance each other out nicely. They both share the same values of devotion and commitment and would also share a valued sense of trust in one another. Cancer will be attracted to Aries and Aquarius, though sometimes something is missing in this union and it doesn't last. Cancer is emotional and can’t befriend people who don’t recognize real emotions. Cancer won't be happy if they have to conceal how they are truly feeling. Leo is the king of the jungle and therefore they know everybody, even if they don’t want to be recognized sometimes, Leo was born to shine. They make for lovely friends who always make you feel like a million dollars. Flaky at the root, Leo might bail on plans or vanish from time to time, but their love for you is never lost. Aries and Leo make for a perfect match as friends, they will get into some fun and maybe even some trouble. Leo and Sagittarius will be partners in adventure and share constant laughter. These two signs really understand each other. Leo also loves Virgo and Libra. Virgo balances Leo out and Libra lets Leo lead. Libra is also easy and refreshing to be around and Leo admires that--both of these signs just want to have a good time! Leo will be drawn to Scorpio and their "can do" and intellectual energy, but trouble could occur when they realize they're not well-matched overall. Textbooks say Leo doesn’t jive well with Pisces, but in reality, Leo holds a special affection for Pisces. They can become life-long friends and really get along on a deep level. Leo can hit it off with Capricorn, but mainly as friends, romantically these two don't tend to work. Virgo is picky about who they let in, but once they give you their trust, you have it completely. Virgo is good with other earth signs like Taurus and Capricorn. These signs share a common ground and want the best that life can offer. Virgo is looking for a partner in crime, and both Taurus and Capricorn are perfect for this role. Virgo is attracted to Leo’s level of stimulation and excitement. Leo brings Virgo out of their shell. Virgo tends to like other Virgos, they like that they think the same and follow the same principals. Astrologers go back and forth about opposite signs Virgo and Pisces. These two can become the best of friends, but they are very different so arguments will likely occur. When this union is healthy, these signs present alternative ways of looking at things for each other, and can form a beneficial bond like Drew Barrymore (Pisces) and Cameron Diaz (Virgo). Virgo and Sagittarius are like Beyoncé and Jay Z, they are that hidden zodiac pairing that seems to work, as long as they are communicating properly. Virgo provides a safe haven and a healthy foundation for fire signs like Sagittarius. Libra is very charming and can make friends on a dime. When they aren’t feeling shy or lazy, Libra can relate to a lot of people. They will naturally connect with other air signs like Gemini and Aquarius. These signs need to make mental connections, and can easily do so with each other. They enjoy having a good time and will engage in similar activities. Libra and Scorpio also have a connection. Scorpio helps Libra get things together. They support Libra and help them sort out their affairs. Libra really appreciate Scorpio’s generosity and will remain loyal to them. Leo and Libra also connect well in that they both want to have a good time, and Libra is so relaxed they don’t mind letting Leo take the spotlight. Libra can have issues with Taurus and Pisces, but it really varies. Libra will have good moments with Taurus and Pisces, and really click with Pisces' creative side, but Libra won’t be able to handle Taurus' controlling ways and Pisces' emotional behavior. Scorpio is the kind of friend who selects carefully, but once they invest their trust, they are your friend for life. You might as well be family because Scorpio loyalty is strong. Scorpio will see eye to eye with fellow water signs like Pisces and Cancer. These signs connect through their emotions and intuitive natures. They produce honest and loving relationships. Libra and Scorpio also can form a special pairing. Libra helps Scorpio relax, and Scorpio keeps Libra in line. Scorpio is very compatible with earth signs like Virgo and Capricorn. These three signs share the same impeccable work ethic, generally like things orderly and tidy, and have strong values on life. Scorpio will be attracted to Leo, but they could run into problems if Scorpio isn’t expressing enough love, or if Scorpio becomes too introverted to keep up with Leo’s agenda. Gemini and Scorpio will understand each other, have things in common and generally get along well. As long as Gemini is open and honest with Scorpio, then it’s unlikely they will have too many problems. Opposite signs like Scorpio and Taurus tend to find each other, and even attempt friendship, but Astrological records have come to show that these signs don’t generally work. There will be conflict. As two forces of control, these signs bump heads. Astrology Can Help Explain Why Certain Signs Work Better Together. Sagittarius is the type to have a ton of acquaintances and “friends” all over, but only a few close people touch their heart. Sagittarius is very independent and doesn’t mind doing things on their own. They are attracted to fire signs like Leo and Aries who are up for the thrill and the adventure. Sagittarius doesn’t like to sit still for too long, and Aries and Leo pals will be happy to go along for the ride. As mentioned, Sagittarius and Virgo have an unwritten zodiac connection. These signs balance each other out, as the sometimes wild Sagittarius, needs someone earthy and calm to lean on. These two signs could make for good partners. Sagittarius will run into trouble with other Sagittarius people when they start to compete with them. Also, one Sagittarius has to be emotionally open in order for it to work long-term. Opposite signs Gemini and Sagittarius are interested in each other and can be friends, but they have to be careful because problems could occur. Sagittarius and Aquarius are the best know match for friendship, though they do share a love for adventure and vitality. Capricorn can be a bit on the shy side sometimes, but when they connect with you and let you in they are great friends. Capricorn will hit it off with earth signs like Virgo and Taurus. These signs are sensible and tend to think practically. They make rational decisions and aren’t big on impulse. They want things that they can rely on. Capricorn and Pisces will have a strong connection, as Pisces' dreamy aura will relax Capricorn. Capricorn will feel comfortable sharing things with Pisces, things they can’t tell anyone else. Capricorn is also very compatible with Scorpio. Both hard workers with solid principals they share a common ground and understanding. Capricorn and Leo might attract because they are both after success, but these two signs will clash and are better off as just friends. One can’t be better than the other, with friendships you need equality, and Capricorn will not do well with anyone who is trying to out do them. The key trait for an Aquarius is “friendliness”, Aquarius will try to be friends with just about anyone, but they don’t let just anyone into their heart. Even if they can connect with people from all over the world. As an emotionally detached sign, it takes time to break down the Aquarius--they don't open up so easily. Aquarius is great with other air signs like Gemini and Libra. They signs will have a meeting of the minds on meet on a mental and intellectual level. They will also love beautiful things and beauty in the world. Aquarius is attracted to Scorpio, but there can be problems as Aquarius is independent and doesn’t like to be controlled, but Scorpio can't help but be a bit bossy. Aquarius and Pisces tend to build a good rapport and can become the best of friends. They are both eccentric and unique and can relate to each other on a lot of levels. It has also been said that Aquarius tends to connect well with Capricorn. Depending on how social The Fish, Pisces can have a lot of friends from all different age groups. When they work their natural Pisces charm it can attract all sorts of people. Pisces has a strong connection to fellow water signs Scorpio and Cancer. Pisces will feel like they can tell these signs anything, and appreciates their ability to show acceptance and love. Pisces and Leo have an unwritten connection, which will usually be filled with a lot of laughter and good times. Pisces is attracted to Aries and they can become very good friends, but sometimes Pisces is too needy for the on the go Aries--Pisces will get jealous when Aries makes other friends. Libra and Pisces can also clash but at the right moment, these two signs can have a very good time together. Opposite signs Pisces and Virgo can be toxic and problems could arise, but in reality many strong, and lasting Virgo and Pisces friendships exist. Did any of your best friends come up in your friendship horoscope? Have you noticed any signs you don’t connect with?